When I peeled back the foil on my in flight meal somewhere over the Pacific between Tokyo and Honolulu, I was not thrilled to discover a thin sheet of seaweed, a rectangular wad of rice and a chunky slice of spam. "This can't be a traditional Hawaiian dish," I harrumphed. "Where are the Waikiki meatballs with pineapple?" But the funny thing about authentic cuisine is that sometimes it has a way of undoing Betty Crocker-inspired notions of what various cultures eat. Turns out Spam Musubi is a traditional island favorite. Judging from the hearty appreciation for the dish shown by my fellow travelers on Hawaiian Flight 458, it is also popular among the hordes of Japanese who flock to the island at a rate that necessitates various airlines sending a total of 18 jumbo jets to Honolulu per day, according to Hawaiian Airlines' president and CEO, Mark Dunkerley. "It's on a scale that people don't appreciate," he told me of the Japanese fascination with all things Hawaii during a wide ranging conversation in his office on Monday. I am visiting the company HQ because I've been intrigued by the airline since reporting for The New York Times in June of 2013 about its new service from New York to Auckland via Honolulu. Only this east to Pacific route is new. 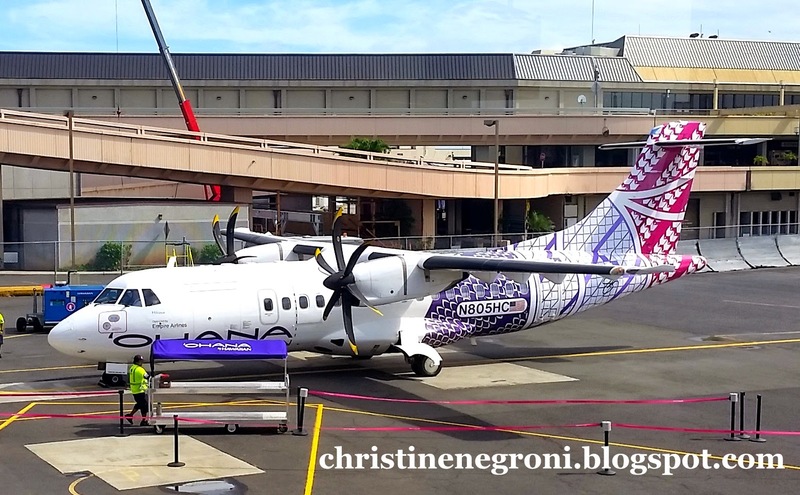 Hawaiian operates from 11 US gateways on the mainland and offers service to six international destinations from its base in Oahu. "Japan, Korea, Australia, people there have a positive view of Hawaii and we benefit from that," Dunkerely told me. "It creates a demand that we try to meet." I might have thought that Hawaiian was looking to create a tropical, Dubai-like transfer hub here in one of American's most beautiful and culturally exotic cities, by providing onward service to New Zealand, Australia, and other points east, but Dunkerley set me straight. 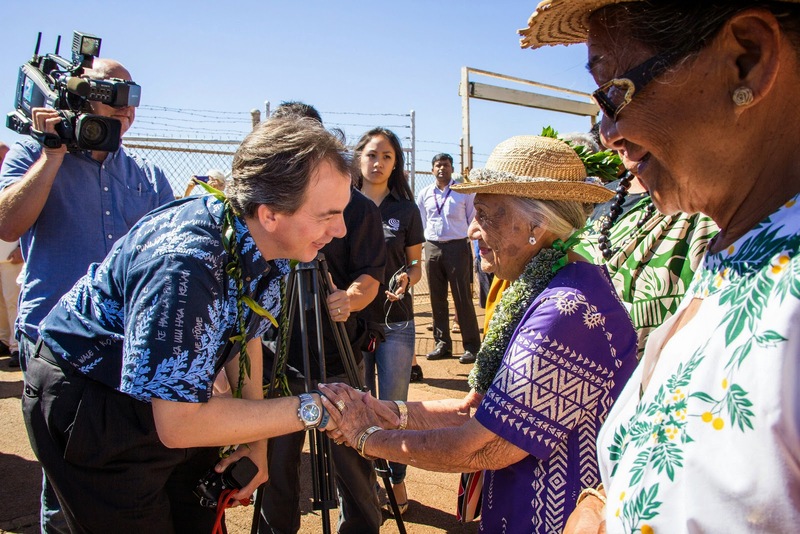 "Our raison d'etre is to sell Hawaii as a destination. Our product is focused on that destination. We differential ourselves from our competitors who want to be all things to all people but are clearly not that." Hawaiian comfort food like Spam Musubi is part of the differentiation and it doesn't stop there. The marketing plan may have started out with the airline wanting to give slices of the Hawaiian life to travelers, but when executives resumed long-idled service between Honolulu and the sparsely populated islands of Lanai and Molokai, the locals wanted to make their own cultural contribution. 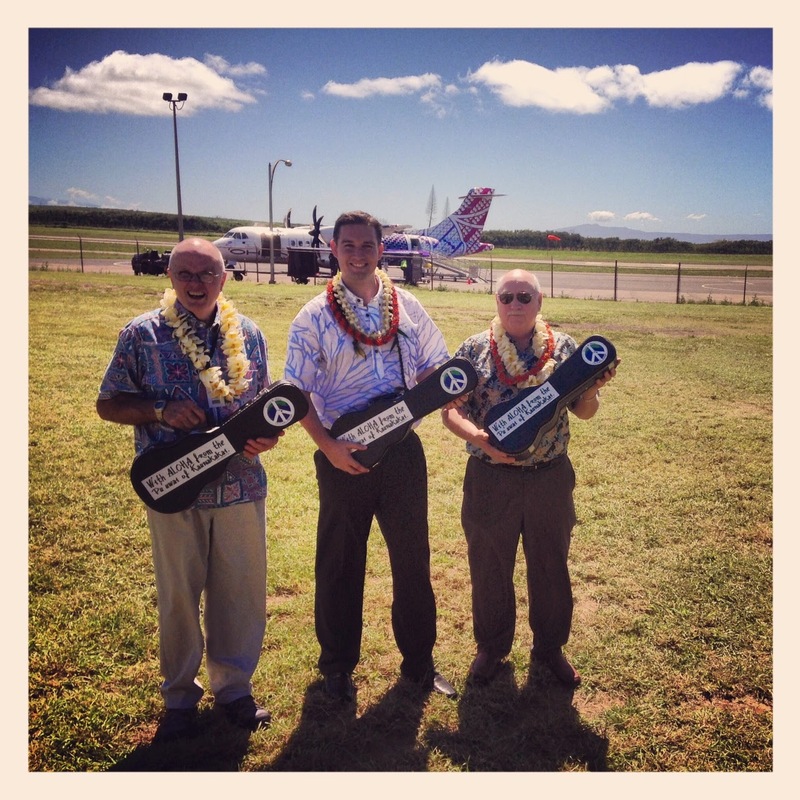 Molokai residents Kauila Reyes and Julie Hoe presented Dunkerley with three ukuleles; one for each of the ATR 42s to be flown on the routes. They are intended to be used by any passenger who gets a hankering to play on the brief flights. Don't let it get dusty, Hoe told the airline bosses. "Bring it out and jam." The gift thrilled Dunkerely, Ohana executive Haddon Watt and Empire Airlines, the Idaho-based company which holds the lift contract with Hawaiian. 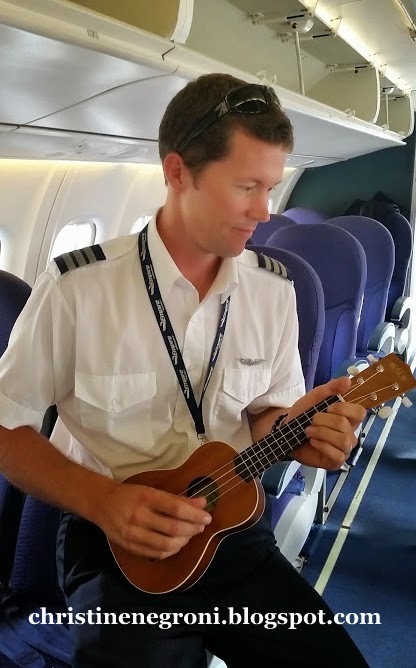 "We must be the only airline in the world that has a ukulele as inflight entertainment," Dunkerely told me. For both Dunkerely and Watt, Hawaii is an adopted home with a potent identity that has proven seductive. Here in the state many Americans seem to forget, Hawaiian is attempting to elevate generic air travel to something unique, not unlike Icelandair and Ethiopian which have also had success incorporating their identity into their marketing programs. No one was inclined to play the ukulele on my flight to Lanai on Monday, but to be fair, tourists occupied most of the seats and they can be shy. After we landed, however, first officer Tyler Westhoff did agree to strum it for me, while insisting if his wife was around to sing, they could have really put on a show. Again this month, the International Air Transport Association announced another hike in the number of people traveling by air. How would the industry could keep up with this continued growth without the big and oftentimes, bland legacy carriers? They have their place. At the same time, seaweed-wrapped spam and ukuleles are tiny but powerful reminders of how creative companies can put some of the joy back in the journey. Mahalo nui for this, Christine! Any more hikes planned before you leave?